Practically all stationary energy and 85% of primary energy in Iceland are derived from indigenous renewable sources with near carbon-free electricity production. This is the result of an effective policy in making renewable energy a long-term priority in Iceland. Geothermal primary energy consumption contributed 66% in year 2010, equivalent to 155 PJ. Nowhere else does geothermal energy play a greater role in providing a nation’s energy supply. The energy current from below Iceland has been estimated to be about 30 GW, of which 7 GW is estimated to be harnessable current. 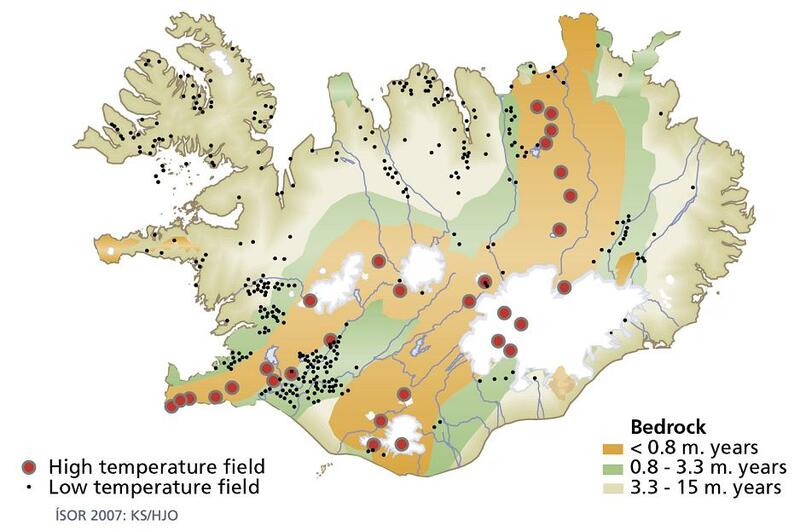 Above 10 km depth, the energy stored is estimated to be 12 x 1014 GJ, of which it is thought to be technically and economically possible to install 4,300 MWe of geothermal power at current electricity prices in Iceland and generate about 30 TWh of electricity. Currently, eight geothermal power plants with a total estimated installed capacity of 695 MWe are under formal consideration for development, of which 50-260 MWe will be installed in 2012-2014.